Expedia has some excellent Cazals-des-Bayles packages waiting for you. Bundling your flights and accommodations is one of the most straightforward ways to save money on your upcoming trip. Receive savings of up to C$590* when you book a package deal on Expedia. You can alter your vacation reservations with us because we do not charge cancellation fees for almost all of our bookings. It can be enjoyable to just roam the streets when you're in a new destination, but sometimes it's sensible to make a plan. Grab your travel itinerary — we have plenty of wonderful ideas for your impending Cazals-des-Bayles vacation. It's hard to envisage how people in the past functioned at home without all the appliances we rely on today. Step inside Maison des Consuls and discover how they did. Still have some time to spare? Find out when Sunday Mass is held at Mirepoix Cathedral. While you're here, take a couple of moments to bow your head and concentrate on a quiet prayer. Traveling to Cazals-des-Bayles? It'd be a good idea to book a room for your luxury getaway or cheap vacation as soon as you can. There are just 5 properties in the area. Check out the La Maison des Consuls (6 Place du Maréchal Leclerc) and the Demeure de la Carmine (2 chemin de la Mestrise). These highly-regarded accommodations not only come with comfortable beds — they boast great reviews as well! Pass through the security gate, amble onboard, stow your bags in the overhead locker and get comfy! Your well-earned trip to Cazals-des-Bayles is only a plane ride away. When you touch down at Blagnac Airport (TLS), you'll be situated 45 miles (72 km) from the central area. 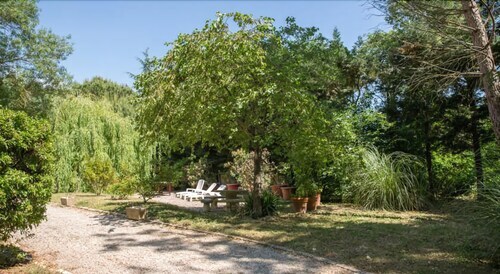 Situated in Cazals-des-Bayles, this guesthouse is 4.9 mi (7.9 km) from Château de Lagarde and within 12 mi (20 km) of Maison des Consuls and Lac de Montbel. Monastery of St. Mary of Prouilhe and Merovingian Necropolis of Tabariane are also within 12 mi (20 km). 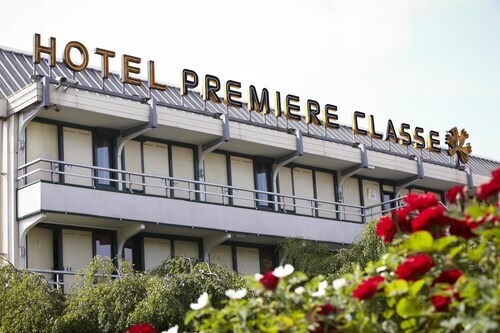 Situated in Pamiers, this hotel is 1.5 mi (2.4 km) from Pamiers Cathedral and within 9 mi (15 km) of Pyrenees Ariégeoises Regional Natural Park and Church of Our Lady of Vals. The Bamboo Park and Merovingian Necropolis of Tabariane are also within 9 mi (15 km). Pamiers Station is 25 minutes by foot. 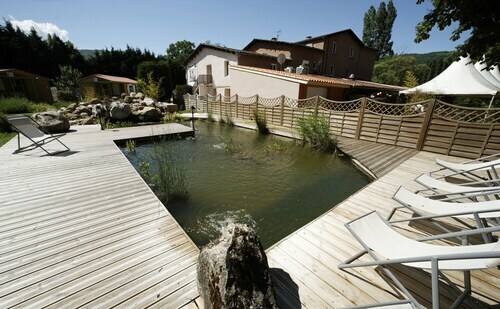 Situated in Foix, this hotel is 0.3 mi (0.5 km) from Pyrenees Ariégeoises Regional Natural Park and within 6 mi (10 km) of Chateau de Foix and Les Forges de Pyrène. Underground River of Labouïche and Pamiers Cathedral are also within 12 mi (20 km). Saint-Jean-de-Verges Station is 22 minutes by foot. 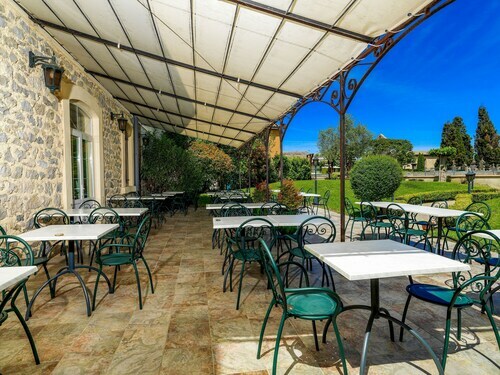 Situated in Mirepoix, this hotel is 0.2 mi (0.4 km) from Maison des Consuls and within 9 mi (15 km) of Château de Lagarde and Merovingian Necropolis of Tabariane. Church of Our Lady of Vals and Lac de Montbel are also within 12 mi (20 km). Situated in Belcaire, this hotel is within 20 mi (32 km) of Quercorb Museum, Puivert Castle, and The Nature Trail And The Green Labyrinth. Bassin des Ladres and Chateau d'Usson are also within 20 mi (32 km). 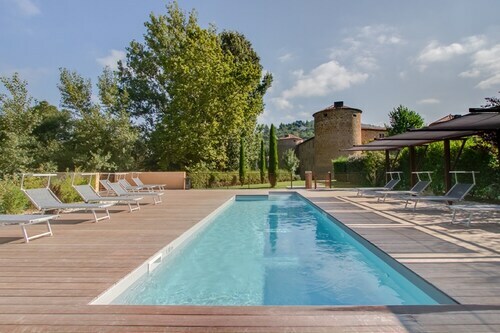 Situated in Foix, this hotel is 0.1 mi (0.2 km) from Pyrenees Ariégeoises Regional Natural Park and 2.2 mi (3.5 km) from Chateau de Foix. Underground River of Labouïche and Les Forges de Pyrène are also within 6 mi (10 km). 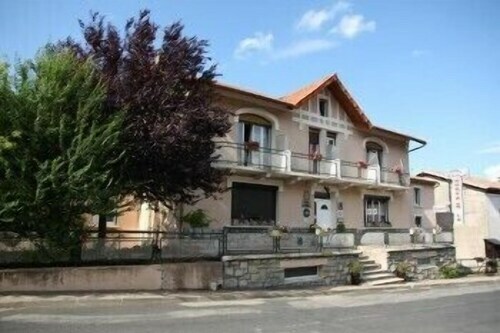 Situated in Couiza, this historic hotel is 3.3 mi (5.4 km) from Rennes-le-Chateau Church and within 20 mi (32 km) of Puivert Castle and Gorges de St-Georges. Abbey of Saint-Hilaire and Chateau de Puilaurens are also within 25 mi (40 km). Couiza-Montazels Station is 12 minutes by foot. 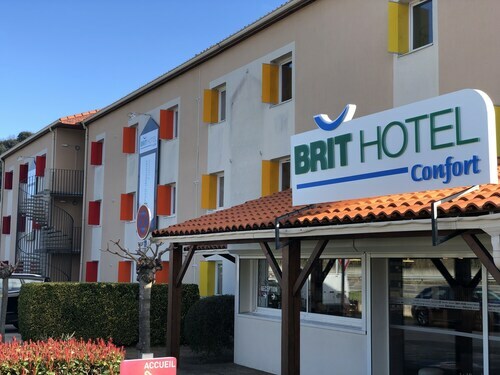 Located in the heart of Castelnaudary, this hotel is 5.6 mi (9 km) from St-Papoul Abbey and within 12 mi (20 km) of Bram Archaeological Museum and Monastery of St. Mary of Prouilhe. Canal du Midi Museum and Garden and Canal du Midi Museum and Gardens are also within 12 mi (20 km). Castelnaudary Station is only a 4-minute walk.